Long haired cats can have mats that are tough to get rid of. 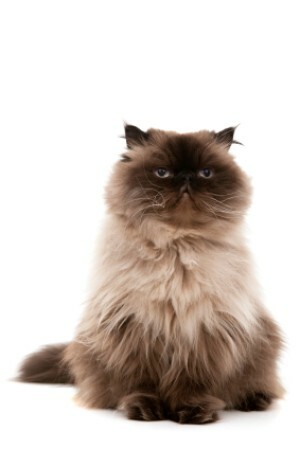 This is a guide about removing mats from cats. Take a comb and put it teeth down between the mat and the animal's skin, then cut the mat away. Then brush the remaining hair out. This keeps you from clipping the skin on your pet. For anyone that has a long haired kitty, I use this product and it works great. No need to shave kitty down anymore. Use this on your kitty every other day and the mats/knots will come out. I had to search for something that didn't have blades and this has "no" blades. If your dog is matted, before bathing them, use cornstarch and a wide tooth comb to un-mat them. The cornstarch absorbs the oil that sticks to the dirt and creates the mat. Trim all fur once doggy is dry. Does anyone have any good ideas for dematting a cat? Is my only option getting her shaved? Thanks in advance for the help! I had the same problem, and was a bit "skittish" about taking on the task myself, because my cat is so "squirm". I did it, though! With the help of a kindly pet store salesperson who recommended a mat removing comb. It has little blades that break up the mat. You need to be careful, but the comb comes with good instructions. Just be firm when holding your cat and let him or her know who's boss! I work in a Veterinarian's office and we just take a sturdy wire-type comb and comb them out. It might seem that it would be painful to just pull out the hair but the cats do not seem to mind it and you are less likely to cut skin by shaving than by combing. Sometimes we have clients who come in that have tried to cut out the matts with haircutting scissors and have actually cut their cats skin resulting in a hole in the skin or infection. We recommend DO NOT do this! If it ever gets bad enough, take the cat to the groomers or vet.